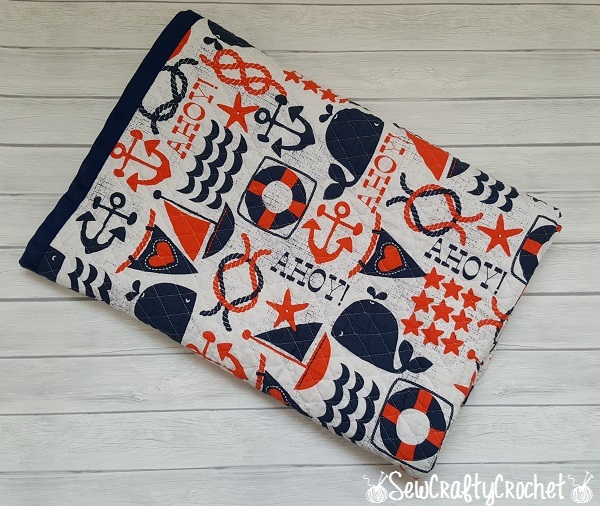 While I was pregnant with my son and impatiently awaiting his arrival, I made several items for his nautical nursery including a diaper stacker and quilt. 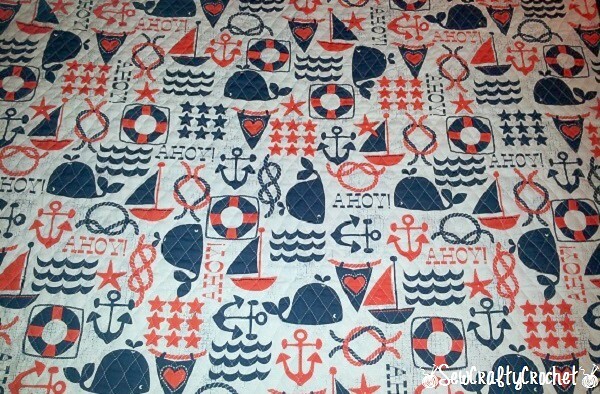 The nautical fabric I used is from Michael Miller's Ahoy Matey collection. 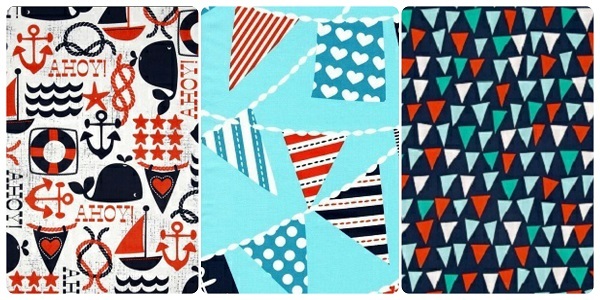 I fell in love with this fabric when I stumbled upon it online. 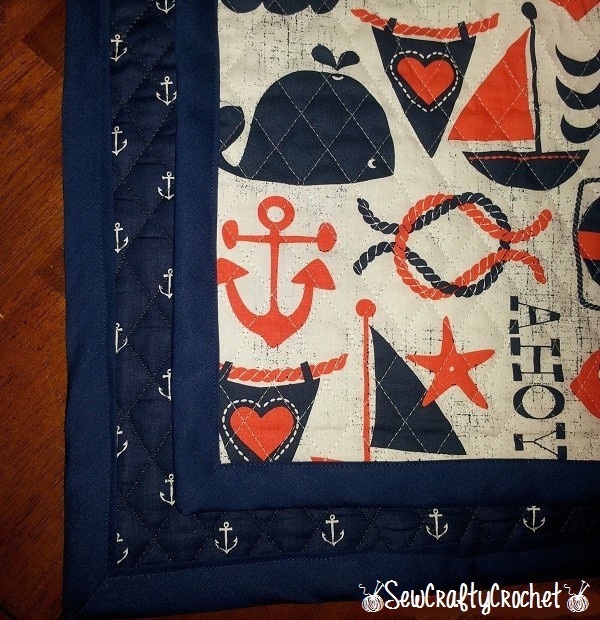 Since I'm not a quilter, I ordered the fabric that's already quilted and added navy blue bias tape to finish it off. 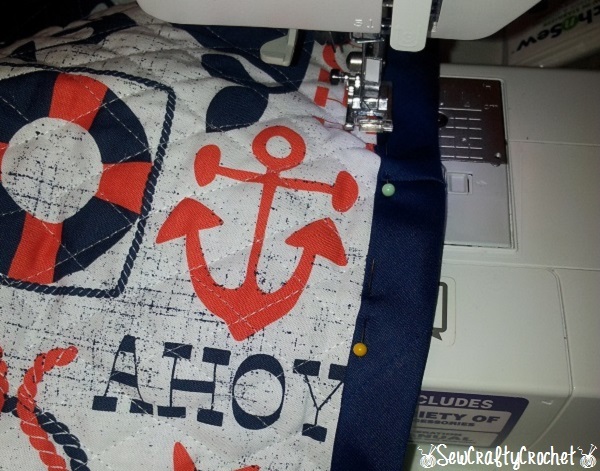 The quilted fabric is double sided, so one side has the Ahoy Matey fabric and the other side has navy anchor fabric. 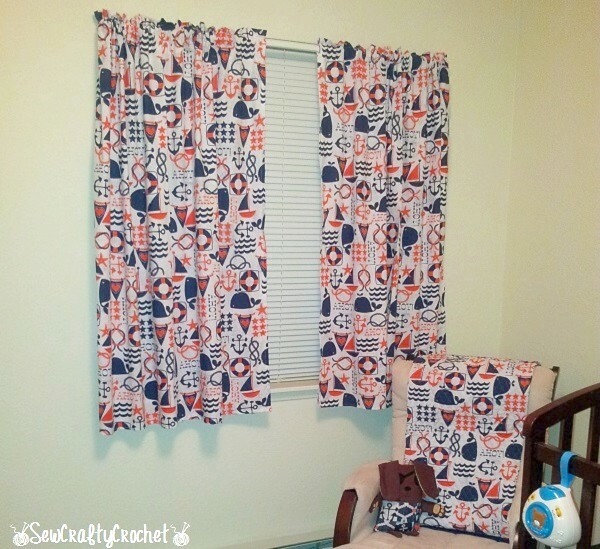 I also used the Ahoy Matey fabric to make a simple set of curtains for the nursery. 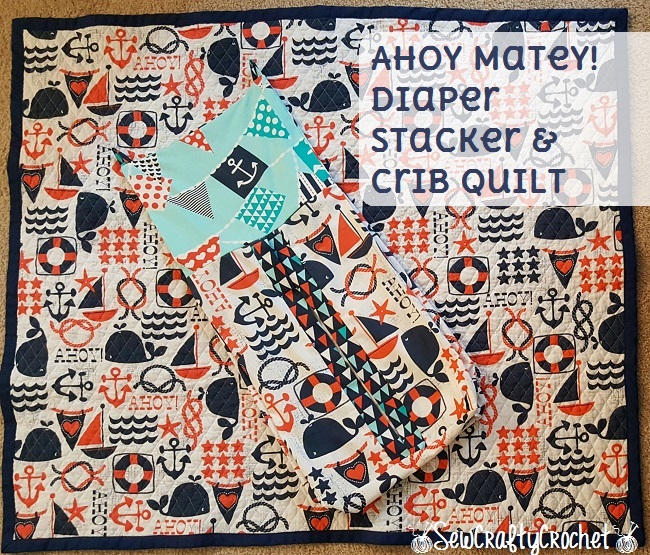 For the diaper stacker, I mostly followed a tutorial that I found via Pinterest [Sew Dang Cute Crafts: Diaper Stacker Tutorial], but I made a few changes. 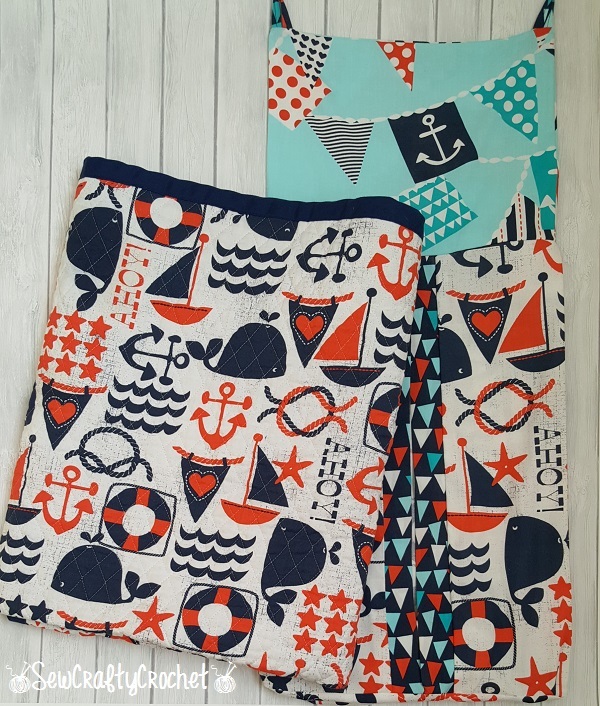 For the main fabric, I used the Ahoy Matey fabric. 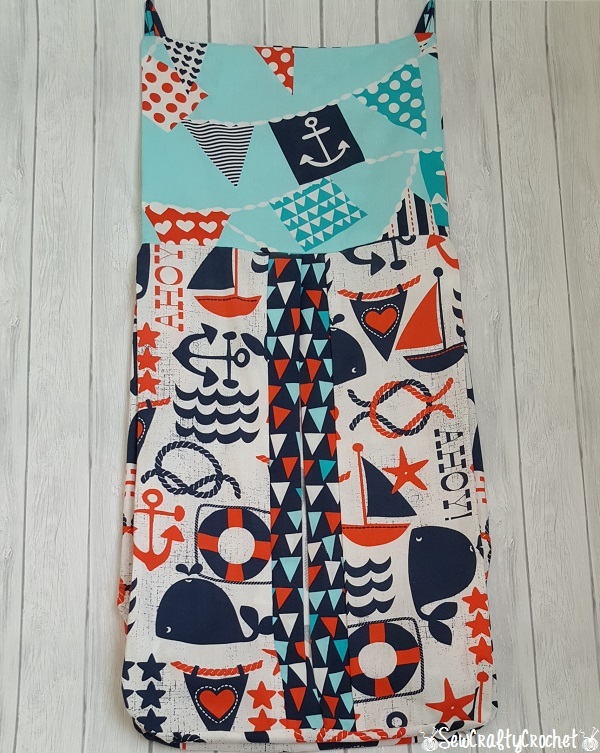 The fabric I used for the top is called Mutiny on the Bunting, and the accent fabric is called Point of Sail. 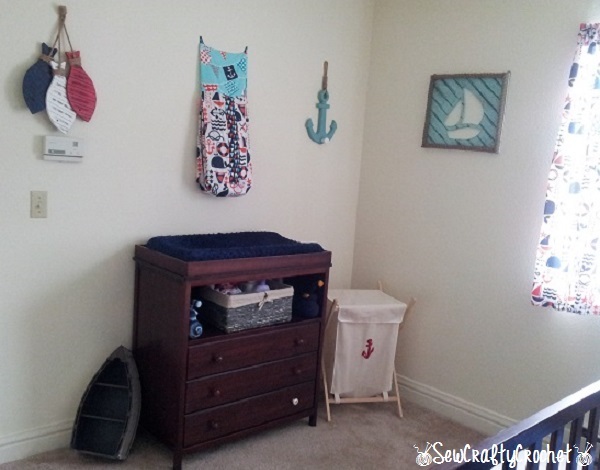 Here's the diaper stacker above the changing table. I'm always changing up my kiddos' room and making new things for our home, so stop by again soon to see what I'll make next!